It was all about encouragement. That simple statement defines the life and career of Joseph D. Hicks, Jr. Growing up in Central City, Kentucky, Mr. Hicks benefited from a strong network of family and friends who encouraged him to pursue a college education, even though financial support was not available. When his father died about a month before his high school graduation, that support network pitched in to make sure that he did not lose his focus on going to college. So, with a $500 scholarship from Kentucky Utilities and a lot of encouragement, Mr. Hicks enrolled at the University of Kentucky. It didn’t take long for Mr. Hicks to settle in at UK where he was active in Tau Beta Pi engineering honor society, the Institute of Electrical and Electronic Engineers, the Association for Computing Machinery, Eta Kappa Nu electrical engineering honor society, Sigma Chi social fraternity and the symphonic band. In 1966, he graduated with a Bachelor of Science in Electrical Engineering. After graduation, Mr. Hicks joined the U.S. Naval Ordnance Laboratory in Maryland. As a research engineer, he was involved in special purpose computers and underwater sensing systems. While working at the laboratory, Mr. Hicks earned a Master of Business Administration from the University of Maryland in 1970. That same year, Mr. Hicks joined Motorola’s communications group and quickly moved into management, serving as engineering section manager in the paging terminal and paging receiver groups. Later he became manager of engineering for mobile radio products where he was responsible for research and product development. In addition, he served as manager of management development for the communications group in Ft. Lauderdale, Florida. While at Motorola, he completed studies at the Motorola Executive Institute. Mr. Hicks’ skill of selecting the right people was almost intuitive. He was asked by executives at Motorola to interview every person applying for engineering positions, even if the position was not directly reporting to him. Motorola asked Mr. Hicks to do this as the people he chose tended to do very well and stayed with the company. He knew the importance of encouragement. 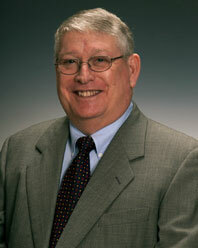 After leaving Motorola in 1979, Mr. Hicks joined Siecor as vice president and general manager, equipment business. Founded in 1977, Siecor was created by two of the world’s leading technology companies: Siemens AG and Corning Incorporated. Merging cable technology and fiber optic research and development, Siecor became the world’s largest manufacturer of fiber optic cable and accessories. In 1984, Mr. Hicks became senior vice president of sales and marketing. In 1988, he was named senior vice president and general manager of the cable division. In 1989, Mr. Hicks was named president and CEO, serving in that capacity for ten years. Under his leadership, the company’s sales grew from $200 million to over $2 billion annually and the number of employees rose from 800 to 14,000. The company had manufacturing plants located in Mexico, Puerto Rico, Dominican Republic, Japan and the United States. His greatest engineering contribution to Siecor was his invention of the network interface device. Almost on a whim, he was asked by executives at Continental Telephone to design a device to solve their problem of a service call resulting in no access to the home. The device allowed the telephone service professionals to determine the source of problems even if the homeowner was not available. He and Siecor patented the network interface device and went on to sell over $2 billion worth to telephone companies around the world. Encouragement became a mantra of Mr. Hicks during his career, both at Motorola and Siecor. He believed developing people as the center of a good business plan was the key to success and his exemplary record over the years proved him to be correct. After an outstanding career at the helm of a Fortune 500 company, Mr. Hicks retired from Siecor in 1999. Over the years, Mr. Hicks has served in leadership positions for a variety of civic and professional organizations including: the board of directors for the Telecommunications Industry Association and Ridgeview Mills; the board of governors for the Electronic Industry Alliance, the board of trustees for the Catawba Memorial Hospital, the advisory board for the Fuqua School of Business at Duke University, the executive board for the Boy Scouts of America and the North Carolina Quality Leadership Foundation. Mr. Hicks and his wife Tannyjha live in Hickory and Banner Elk, NC. They have four children and seven grandchildren.